Ruchira Khanna is just another soul trying to make a difference in this lifetime by juggling between her passion and responsibilities. A Biochemist turned Writer who draws inspiration from various sources and tries to pen them down to create awareness within her and the society. 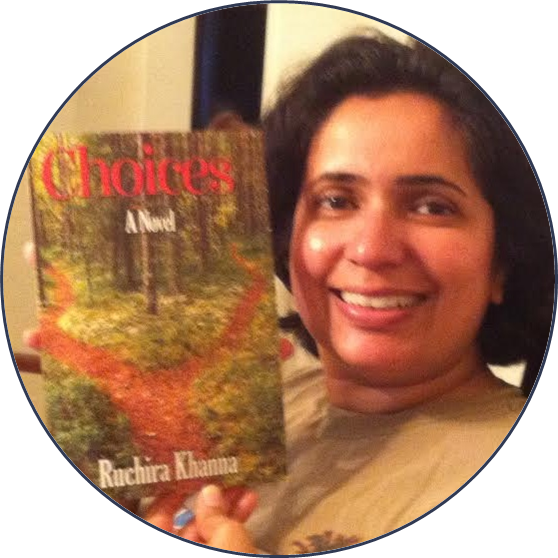 Recently published a novel, which peeps into every one’s daily life named, Choices. She has also completed a children’s book this past year. Her latest novel is Voyagers into the Unknown.